If you're in the business of selling products like clothes, shoes, bags, accessories, novelty items and other popular products, one of the best moves you can make to ensure that your little shop gains a wider reach of your target consumers is to open a store in a popular location in the city, like its main shopping centre. With plenty of foot traffic and a diverse range of customers, you have a greater chance of really getting your brand out there and building your business' profitability, growth and development. So, how is this done? Generally, the common practice is to lease a retail space. If you're planning to make this move, here are some tips and key considerations that can help you decide if occupying retail space in a top shopping centre is the next step for your venture. 1. Right off the bat, you must know that leasing will, of course, entail paying rent and other associated costs, which will be considerably higher if you have your sights on shopping centres in the middle of central business districts, in trendy suburban areas and in prime retail strips. You'll have to be fully prepared and able to cover all the expenses involved in this move. In addition to the base rent for the retail space, you'll also have to pay for a variety of other outgoings: the repair, maintenance and operation of the shopping centre (like water, electricity and security costs), the management and maintenance of the shopping complex, as well as public amenities and carparks, or even the costs of promoting and advertising for the shopping complex. 2. You need to obtain the local council's approval of running your business from the retail space in question before signing the lease. You need to be clear about permitted use, which is a clause that should be included in all commercial or retail leases. This will describe the type of business you're allowed to run in the retail shop (this is to be negotiated with the landlord before you sign the lease). 3. Another thing you should discuss with the landlord before signing on the dotted line is the performance of the retail space's previous tenants, along with the costs and conditions involved in leasing the space. This can give you an idea of how the former tenants used the space, what mistakes they made, what changes you can make to avoid repeating those mistakes and how you can maximise the shop for your business' purposes. 4. 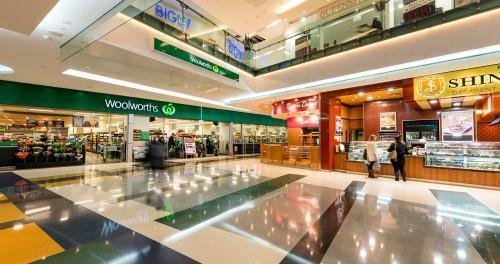 Keep in mind that if you'll be requiring specific fitouts and modifications to the space, some shopping centres may have building standards that you must adhere to. Sometimes, the tenants are obligated to pay for the cost of removing the fitouts at the end of the lease. 5. On top of the common occupancy costs, you should also seek some form of protection in the event that unforeseen incidents such as earthquakes, fires or flooding negatively affect your space. It's best to purchase insurance for your investment in the shop. 6. As previously mentioned, if your goal is to set up a shop in the middle of busy city locations, you need to be prepared to shell out a significant amount of money for the space, as it will be much more expensive compared to leasing costs in mid-city rental spaces. In Sydney CBD, the most expensive spaces can cost as much as $13,000 per square metre per annum, while other spaces can range between $500 and $4,000 per square metre. The range in Melbourne CBD is from $1,200 to $4,000 per square metre, while in Brisbane CBD, you can rent space between $$750 and $1,700 per square metre.